It’s that time of year again – what are YOU planning for Valentine’s day? There are a few failsafe ideas that work for almost everyone. A single red rose (or a bouquet if you are feeling flush). Champagne. And, Valentines chocolate of course. 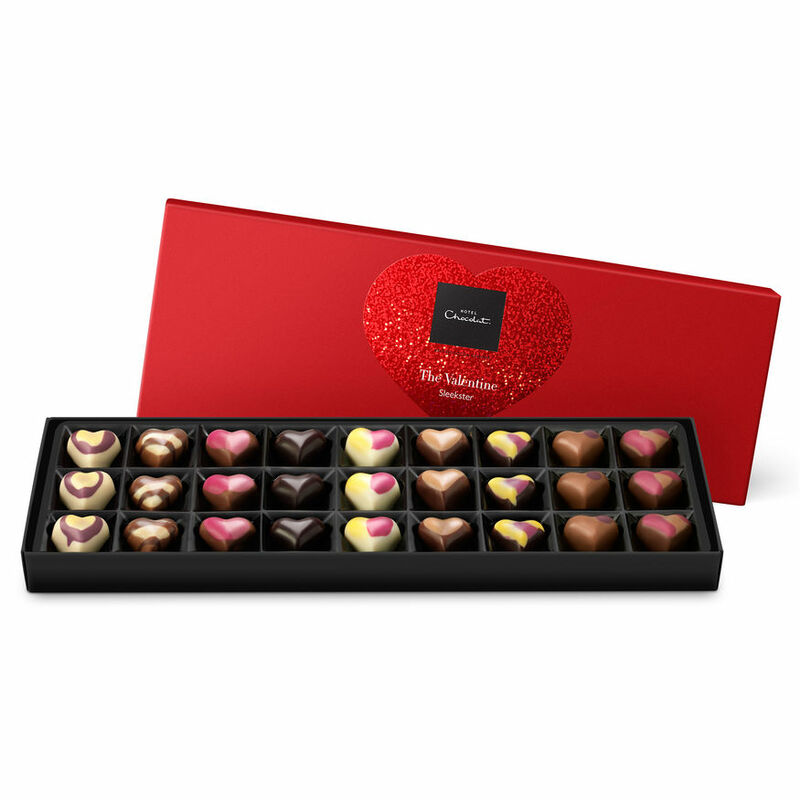 I’m always happy to give or receive something from Hotel Chocolat – ideally a Sleekster because the box of 27 irresistible heart-shaped chocolate caramels, fruits, tipples and pralines is just the right size for sharing. I love the fact that there are three of everything. That’s one for you, one for me and…probably another one for me! I love the heart shape of the special Valentine’s Sleekster chocolates. And, I love the fact that the box itself is letterbox friendly so if you happen to want to send one in the post, to me or anyone else, it should work very well indeed. Did you know that civilisation as far back as the Aztecs have drawn a link between chocolate and love? Montezuma, Emperor of the Aztecs ate copious quantities of chocolate in an attempt to help his romantic liaisons. The theory is that two chemicals in chocolate, tryptophan and phenylethylamine are at the root of chocolate’s aphrodisiac quality. The first is a chemical which is involved in sexual arousal, the second, a stimulant which is released when people fall in love. You probably need to eat a lot of chocolate though if you are looking for a measurable effect on desire. Honestly, I don’t really need any encouragement to indulge, particularly with those from Hotel Chocolat. But, it’s not a bad excuse is it? 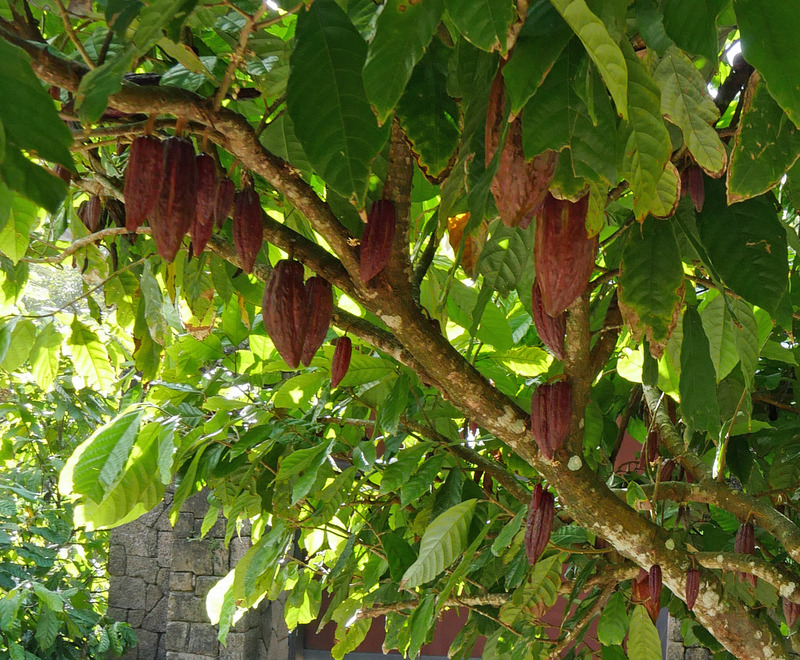 Now, Hotel Chocolat is one of the few chocolate makers in the world who grow their own cacao – I’ve been lucky enough to visit Boucan, their estate in St Lucia. That helps them really understand what affects the flavour of chocolate and means they have a genuine love of the ingredients they use in their products. They also have a comprehensive range of chocolates for all occasions. 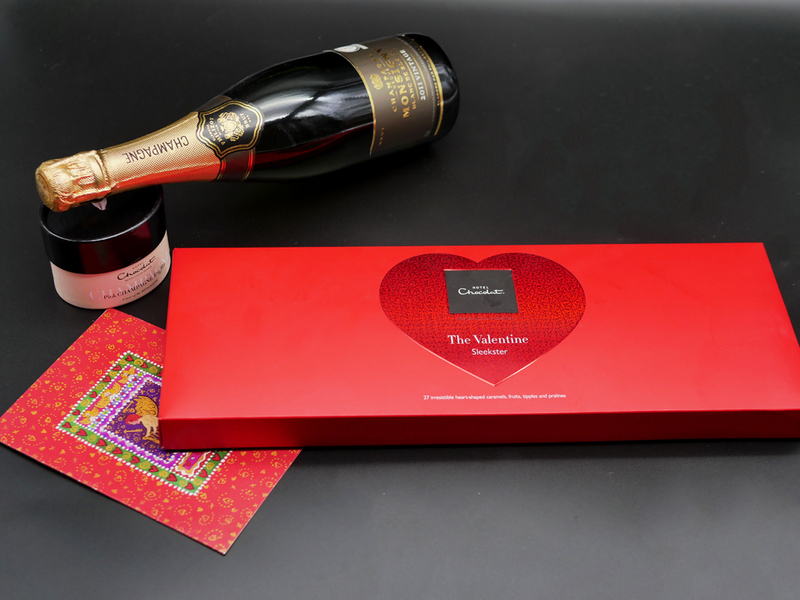 I’m particularly impressed that their range of valentine chocolates spans everything from little gifts for kids through to ultra luxurious fine chocolate gifts. Apart from the Sleekster, there are pink champagne chocolate truffles (I’ve been sent some to try and can promise they are delicious), a stunning heart-shaped box of chocolates priced at £40 Chocolate oysters for those who don’t like the real thing and some amazing hampers of chocolate and champagne. There are quirky little gifts – salted caramel hearts and bags of dark chocolate hearts labelled ‘You’ll Do’. And there are a couple of special Valentine’s chocolate experiences. How about a chocolate lock-in – I think that has MY name on it. The Valentine’s Day themed Chocolate Lock in is open to just 10 VIP attendees in Hotel Chocolat stores around the country. You’ll be greeted with a glass of Prosecco before mingling with other guests over a chocolate tasting, sometimes with a pairing – it could be anything from red wine to cocoa gin or even a herbal infusion with cocoa shells. The store team will be on hand to answer your questions and you’ll get your £10 ticket price back off anything you purchase on the night. Apparently, there may just be a secret treat too…I’m intrigued. 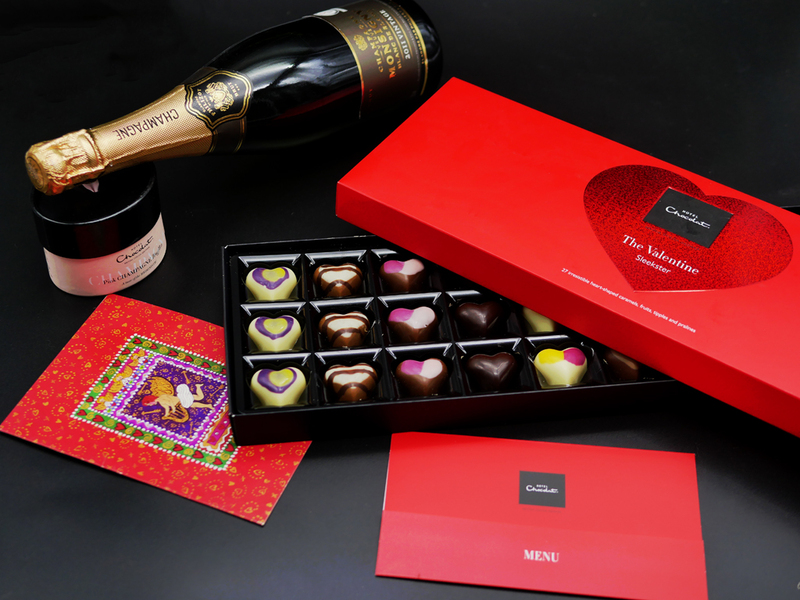 For more information about this and other Valentine’s Day specials from Hotel Chocolat please check their website. Now, in the meanwhile, you might like to try your hand at my Valentine’s giveaway. I’m thrilled that Hotel Chocolarafft have offered one of their special Valentine’s Sleeksters for a lucky London-Unattached reader. Just follow the rafflecopter through as normal and remember to answer the mandatory question. Something that means something to you, so it’s different for everyone. It’d be perfume for me! A surprise holiday somewhere! Thanks for the competition.